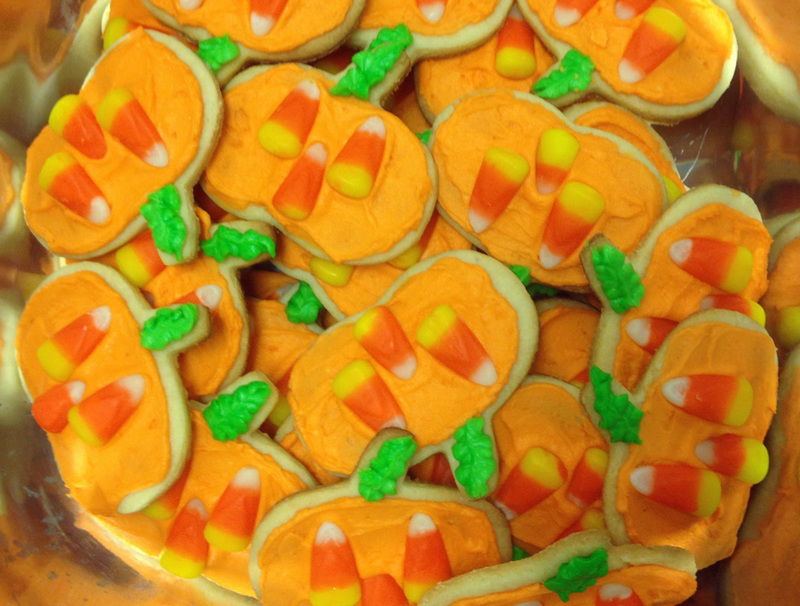 A member of our quilt guild made Jack o Lantern cookies for the October meeting. Halloween comes and goes quickly, so why not get some more use out of that pumpkin cookie cutter? Nowadays we can find the perfect shade of orange icing in the cake decorating section of the craft store. That means we can avoid past disasters caused by the need to shake out drops of red and yellow food coloring from tiny bottles. Whether or not you are a fan of candy corn, using it as the features on the Jack o Lanterns is a clever example of repurposing. It shows that we can exercise our creativity and then...eat the results.